Transcend Information Inc., a leading manufacturer of storage and multimedia products, is proud to announce the release of the StoreJet 600 for Mac. Housed in a stunning metallic casing, this light and durable StoreJet 600 for Mac matches the sleek lines and elegant curves of Mac devices. The space-gray color reflects a sophisticated style, and makes this portable SSD a fashionable on-the-go accessory. The StoreJet 600 for Mac features the latest USB 3.1 Gen 2 interface and pre-formatted HFS+ file system, allowing it to be used right out of the box. Transcend’s StoreJet 600 for Mac utilizes the USB 3.1 Gen 2 interface, which achieves double the transfer speeds of USB 3.1 Gen 1 devices, and meets UASP standards to boost transfer rates up to 470 MB/s. In addition, both a USB Type-C cable and a USB Type-C to Type-A cable are included in the package to accommodate Mac models featuring the Thunderbolt 3, USB Type-C, or USB 3.0 interface. The aluminum casing of the StoreJet 600 for Mac befits its status as an Apple-compatible SSD for its lightweight, modern, and sturdy design. The device’s alluring space-gray hue complements the sleek design of Mac computers. The StoreJet 600 for Mac is ready for immediate use, having been pre-formatted with the HFS+ file system. Supporting Time Machine backup, the StoreJet 600 for Mac is ready to act as backup storage where needed. Transcend Elite is an advanced software package compatible with both macOS and Windows that features powerful user-friendly applications, such as backup and restore, data encryption, and cloud backup to help users manage data and increase productivity. The software can be downloaded from the Transcend website, making saving, sharing, and taking your digital files with you easier than ever before. 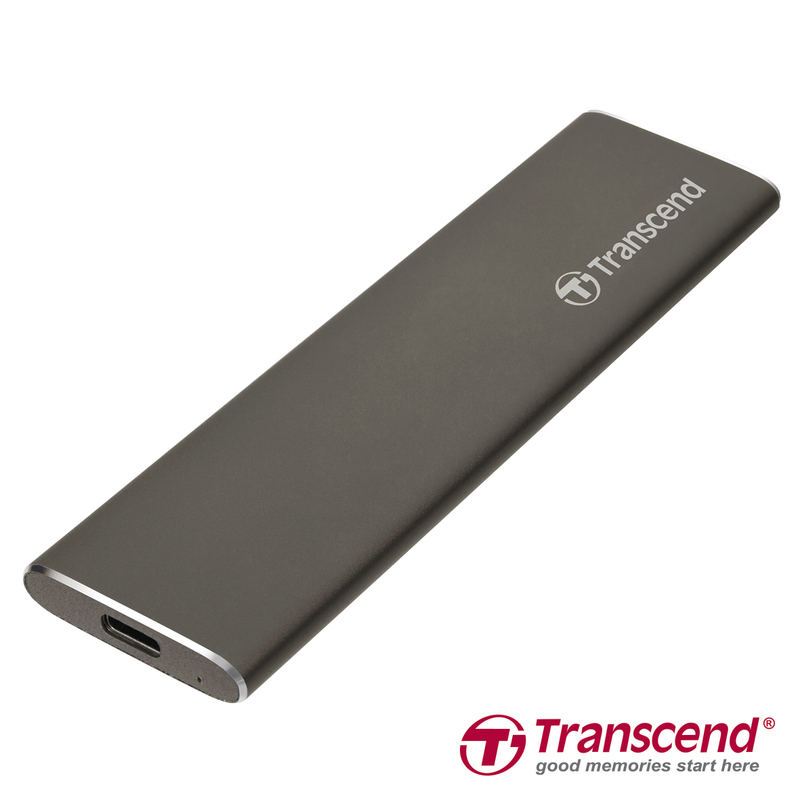 Transcend's StoreJet 600 for Mac portable SSD is offered in 240GB capacity, and is backed by Transcend's three-year limited warranty.